Common sense would tell you that the biggest winners in a price rally of a commodity would be the biggest producers of the commodity that is rallying. This is certainly true for the latest oil price development, but some of the winners might surprise you, as listed by Nomura. The asset manager and advisor said in a recent report that there were five clear-cut winners from the rally. The winners, in addition to Russia and Saudi Arabia, included Malaysia, Nigeria, and Colombia. These last three are not among the biggest producers and exporters of crude oil, but a set of factors including the state of each country’s economy, idiosyncratic factors, and what Nomura calls the scope of policy responses have combined to determine the winners. Malaysia, for instance, pumped almost 660,000 bpd in March this year, which is not a lot compared to what Russia has been pumping in the last few years, but it did help Malaysia maintain its position as a net oil exporter. Oil exports, according to Nomura, contribute 0.3 percent of GDP, again a tiny amount. Yet as a whole, the local oil industry contributes between 20 and 30 percent of GDP. What’s more, Malaysia exports LNG, and that contributes 2.6 percent to GDP. Since LNG pries are tied to oil markets, any increase in the latter results in an increase in the former with a delay of a few months. Colombia is a different case. The country suffered a severe blow from the 2014 oil price collapse, struggling with a budget deficit like so many other producers, and was less successful at handling it. 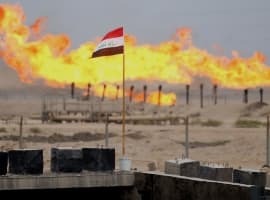 The country has a lot of undeveloped reserves, and higher oil prices could make it possible to start developing them and reverse a consistent decline in oil production over the last two years. This would be nothing out of the ordinary for any oil producer, but Colombia has the additional problem of falling oil reserves and no new discoveries since 1992. When prices are low, explorers tend to make very selective investments, but now that Brent is close to US$65 a barrel, Colombia has the chance to attract fresh investments in its oil reserves, whose recoverable portion was estimated at 1.673 billion barrels at the end of last year. What about Nigeria? Nigeria was let off the quota hook that OPEC imposed on most of its other members last year in a bid to push up prices. Now that they are up, Nigeria will likely be joining the cuts, which most industry watchers expect will be extended until the end of 2018. Nigeria last month produced 1.738 million bpd of crude oil, which is close to its stated target for capping of 1.8 million bpd – an amount equal to the combined cut OPEC and its partners agreed to take off markets last year. Now, a lot of what Nigeria produces in the Niger Delta is shipped abroad. The country is the second-largest oil exporter in Africa after Angola. But it is plagued by challenges, chief among them being very high production costs that the government, no matter how hard it has tried, has failed to reduce significantly. That’s why Nigeria is a clear-cut winner of the last price rally, as are all higher-cost producers that have seen production growth stumble because of low prices. In the losers’ corner, of course, are the importers, which have been having a blast since late 2014, but now might have to take it a bit easier until the latest heat-up in the Middle East blows over. A complete contradiction here " the country has a lot of undeveloped reserves " and next paragraph " Columbia has the problem of falling oil reserves and no new discoveries since 1992 "